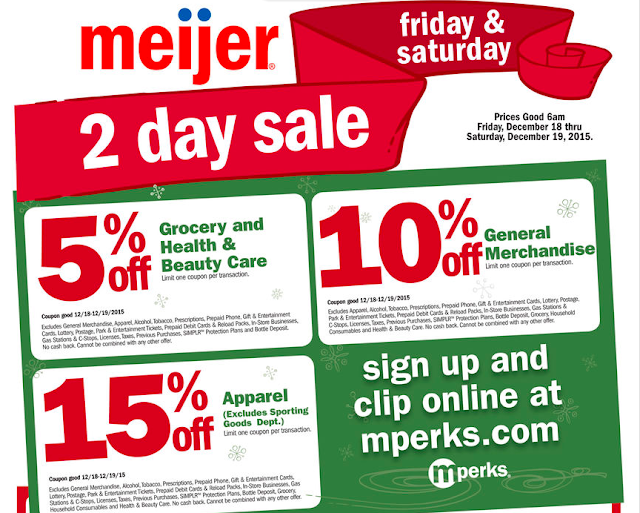 Meijer: 2 day sale 12/18-12/19! Loving Meijer and all the deals lately! Another 2 day ad and mPerks coupons too! Check out the ad here!